Since yesterday was Valentine’s Day and I really wanted to write that post, so it pushed back my Wine & Dine Wednesday post by a day, but I think it will be worth the wait. While in San Francisco a few weeks back, I was invited by one of my fab blog readers in Berkeley, to join her for dinner at Chez Panisse. The evening was sublime on so many levels, with many lovely memories. What I want to share is one of the more perfectly simple yet sophisticated all at the same time, a vinaigrette for the ‘garden lettuces’ we each began the meal with. Seriously, I have relived that salad over so many times in my head since back in Seattle. The dressing made the lettuces be the star. We had it for as part of our Valentine supper last eve, and it again just blew me away. You will need: 1 small garlic clove, salt, 2 tablespoons red wine vinegar, freshly ground black pepper, 3 to 4 tablespoons extra virgin olive oil. Find the best garden, or farmers market or grocery store lettuce you can get your hands on. (1) Wash the greens and dry them well, first in a salad spinner and then by rolling them up in a towel. Refrigerate until used. (2) Put a peeled garlic clove and 2 big pinches of salt in a mortar and pound into a purée, with no chunks remaining. Add the wine vinegar, grind in some black pepper, and taste for the balance of salt and vinegar. 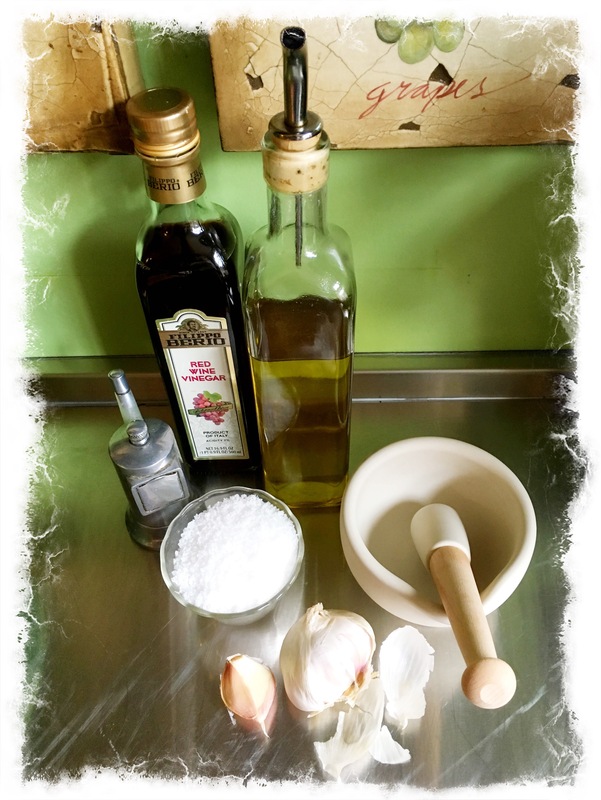 Allow to macerate for a few minutes, and (3) whisk in olive oil. Taste the dressing with a leaf of lettuce. It should taste bright and lively without being too acidic or oily; adjust the salt, vinegar, or oil as needed. To dress the salad, put several generous handfuls of greens in a large bowl. Toss with about three quarters of the vinaigrette, taste. The greens should be lightly coated but not overdressed. Add more dressing as needed. 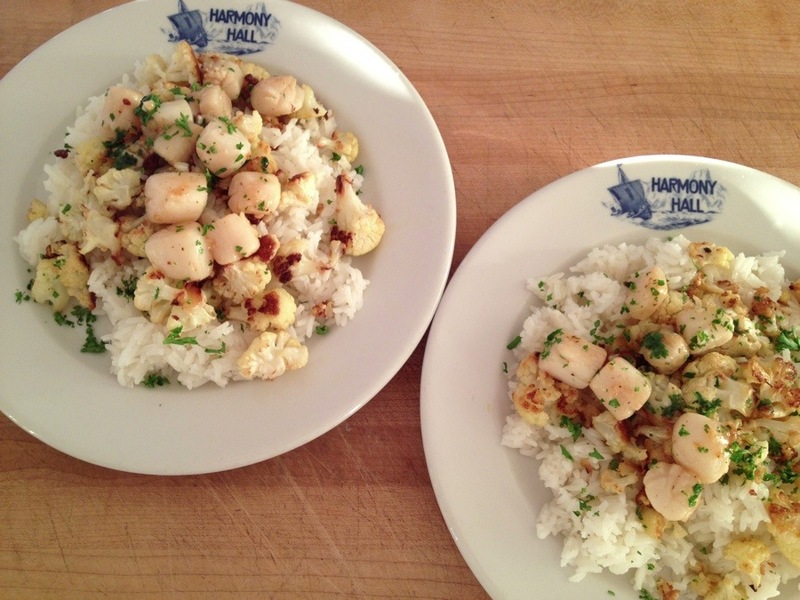 This is such a great dish for entertaining because the shrimp marinate with the garlic, getting infused, so you can prepare this before guests arrive. Then all you need to do is quickly cook them up right before ready to serve. Here goes. Either peel & devein shrimp yourself, my preferred way, or buy them that way. Truly, either is perfectly fine. 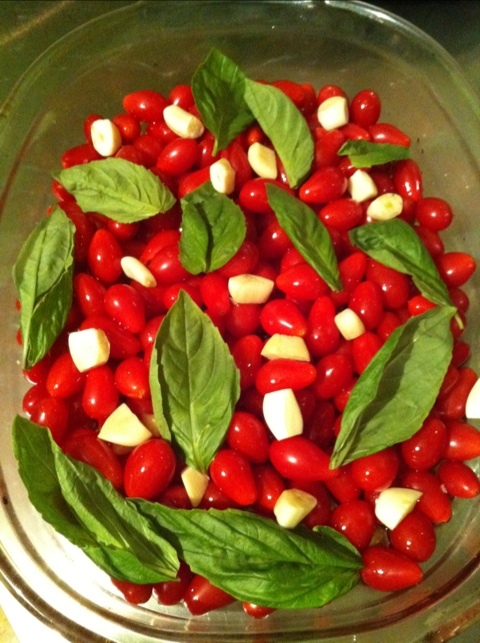 Lay them out in a bowl or platter and pour over a good amount of extra virgin olive oil. They want to be swimming in it, this will all make sense in a bit. Chop up finely several cloves of garlic and spread about. Liberally salt and pepper the whole lot. Cover and refrigerate until you are ready to cook. Or cook right away, just let that mixture sit for at least 15 minutes. It can sit in the fridge for a good long while marinating. Next zest 2 lemons, putting the zest in a bowl. Then juice those 2 lemons into the same bowl. Set aside. Then chop up a generous handful of Italian parsley. Place in a little bowl. You will use this later. Get water boiling for pasta. Cook a box of your favorite linguine. If you use fresh, even better. While that is cooking away, you are ready to cook the shrimp. On the stove top, get a pan heated on medium high, add a big knob of butter. 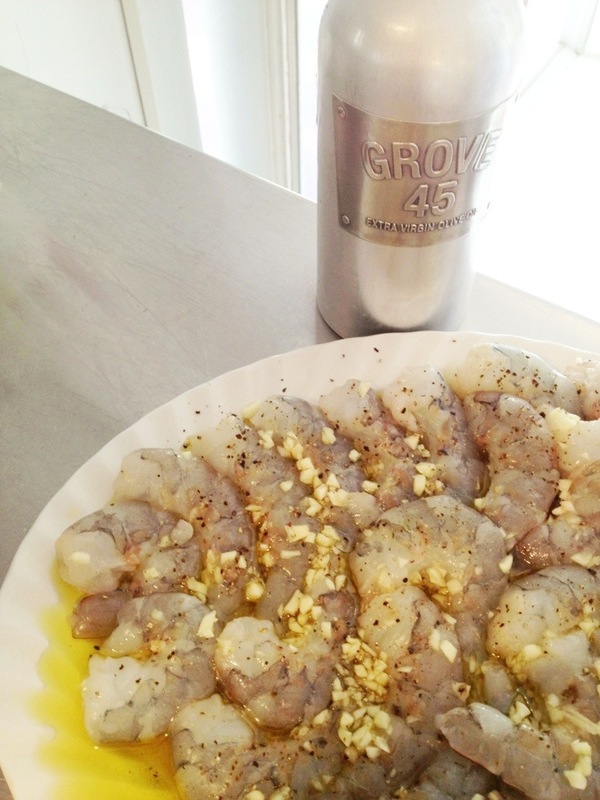 Place the shrimp, all the glorious EVOO they have been swimming in, plus the garlic into the pan. Cook the shrimp not more than 2 minutes a side. Take off of heat. Add the lemon zest/juice from the waiting bowl. Stir around. The lemon mixes with the butter and the olive oil to make a bit of a sauce. Then add the parsley. After you have drained the pasta, add all, the shrimp mixture & pasta, back into the empty but still warm pasta pot. Place the lid back on and let sit for a few minutes to marry all those amazing flavors. Serve. Just so simple and hearty. We served this the last 2 Sundays alongside grilled steaks for a Summery surf and turf to guests. Ample enough to serve just as it is, with a green salad, baguette and a glass of rosé. This is what you whip up when you have that pesky jar of mustard sitting in your fridge and there is still mustard in it. But not enough mustard to really do anything major with, but enough still left that you can’t bring yourself to toss it. This is the easiest thing in the world to do, with things you have a bit extra of. Take one lemon and quarter it. Squeeze the heck out of those slices over a cup or small bowl, making sure seeds do not enter the liquid produced. Add that lemony gold to the waiting jar of mustard. Then peel one good sized clove of garlic, smashing it just a tad with the back of the knife. Add the whole smushed garlic to the jar. Then add a few generous pinches of salt and a few cracks of the pepper grinder into the lemony mustard mixture. Almost there. Told you this was incredibly easy. Lastly add the best extra virgin olive oil you have around, about then again as much as the liquid in the jar. Typically twice as much oil to acid is a good vinaigrette ratio. Just eyeball it, and no huge deal if you add a tad more or less. Slip the lid back on. Check twice to make sure it is on nice and tight. Yes, I have made this error and it is not pretty. Now, shake, shake, shake that bottle. If music is playing in the background while you are doing this, even better. Done. 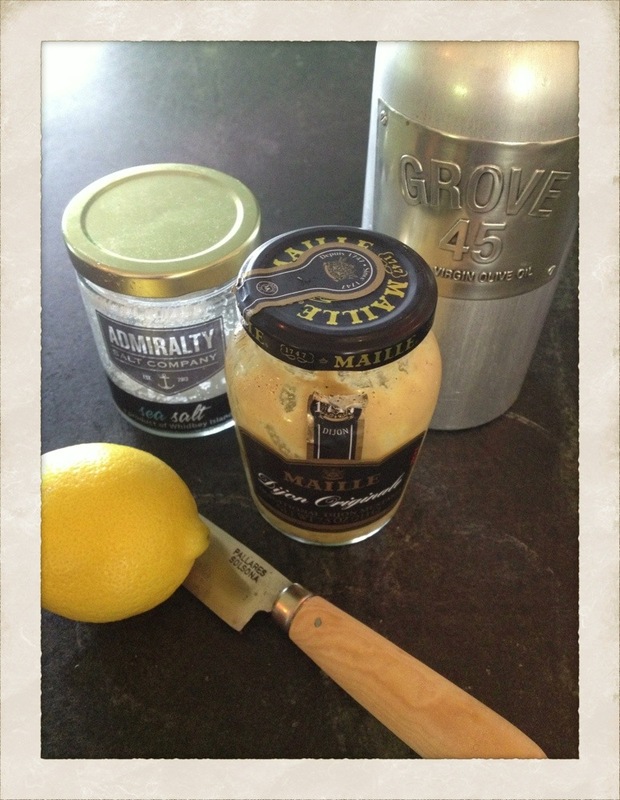 You just made a really tasty lemony garlicky vinaigrette. Pour right out of the bottle over greens of your choosing, making sure to leave the garlic clove in the bottle. Any remaining will last in the fridge quite nicely. With the garlic continuing to infuse even more. Add a little more of all the above to the bottle and you can make another round with any leftover. A super easy meal to make as the plums are so plentiful right now. 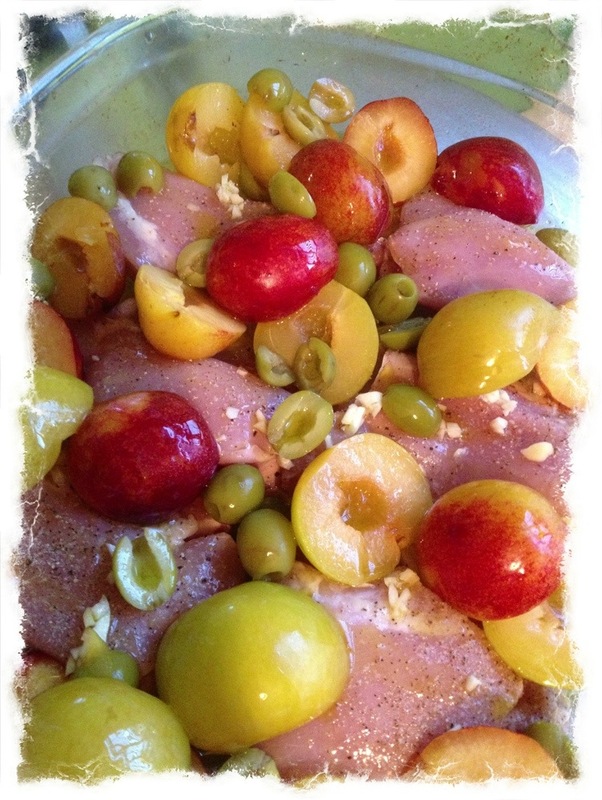 Halve plums and take out pit. Add to chicken filled baking dish alongside green olives, minced garlic, S&P, extra virgin olive oil, and a splash of white wine. Cook at 400 degrees until chicken is done. Serve over egg noodles or rice. Many of the plums breakdown and create a glorious sauce and others remain intact and look great nestled up next to the chicken. Apologies, we were so hungry after this came out of the oven that I forgot to click a photo of it plated up. 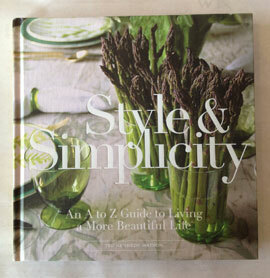 Perfect for a week night meal but also lovely to serve to guests. This is just the simplest thing to make this time of year when tomatoes are most plentiful and are at their peak taste & flavor wise. TPS made this the other evening and I made it the week-end before last in New York when our niece Emma came to Hawthorne for a visit. We could make and eat this weekly during the season it is so tasty. It is a one bowl meal that could not be easier. Here we go. Preheat oven to 400 while you get things ready. In a baking dish put in small tomatoes whole. Sprinkle them in the dish with extra virgin olive oil and salt. Then add 2 finely chopped garlic cloves and a good amount of torn basil. That is the image below. Roast/bake in the oven for 30 minutes or until the tomatoes have begun to pop and open. This is needed as the juices mix with the olive oil to make the sauce for the dish. At the 15 minute point, with a spoon mix things around a bit. While the tomatoes are cooking away, start a big pot of salted water to boil. Choose whatever type of small pasta you like. Ted really likes bow tie shaped pasta, so that is what he used the other night. Cook pasta. While those 2 things are cooking away brown a package of the best ground sausage you can get your hands on. Simply put a bit of oil in a pan, break up the meat and cook away until cooked through. If you want a meatless or vegetarian meal, omit the sausage. We do this often and the dish still rocks without the meat. 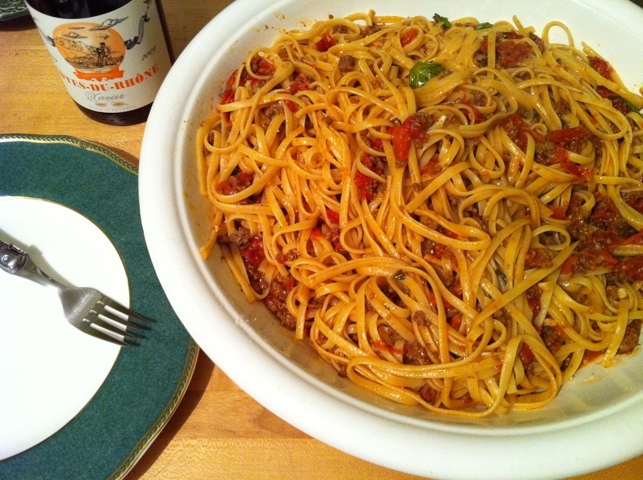 In a large bowl combine the roasted tomatoes, the cooked pasta and the browned sausage. Mix together. To all of that take feta and crumble about and mix again. Once you have served up things on a plate or in a bowl, top with another bit of feta for the top of the dish. So yummy, so satisfying, so easy. Summer in a bowl. Enjoy! It has been several days of non-stop cooking, with the snow keeping us mainly at home, and mainly inside. Aside from taking Bailey out for her walks–being a good Midwestern girl, hailing from Minnesota–she loves the snow and could be out in it all day. I am not as fond of it. So I cook. 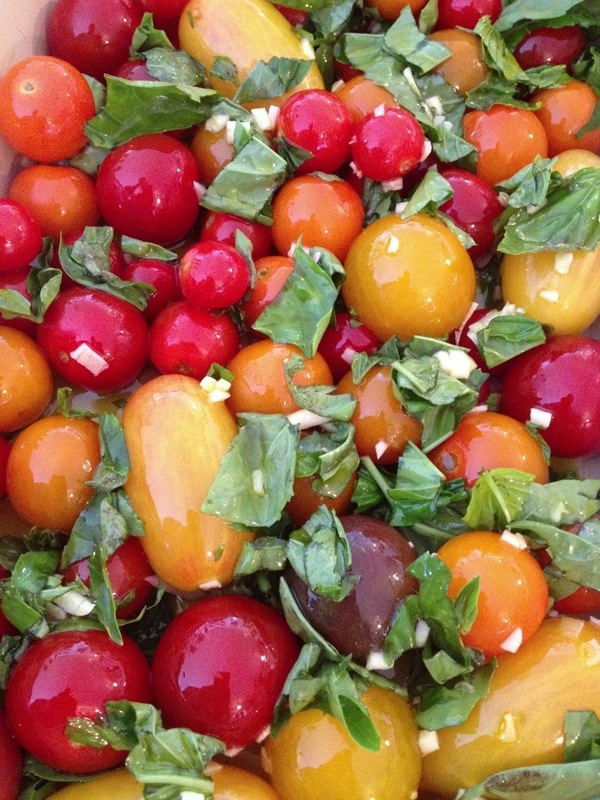 Roasting tomatoes is one of my favorite, easy things to do. 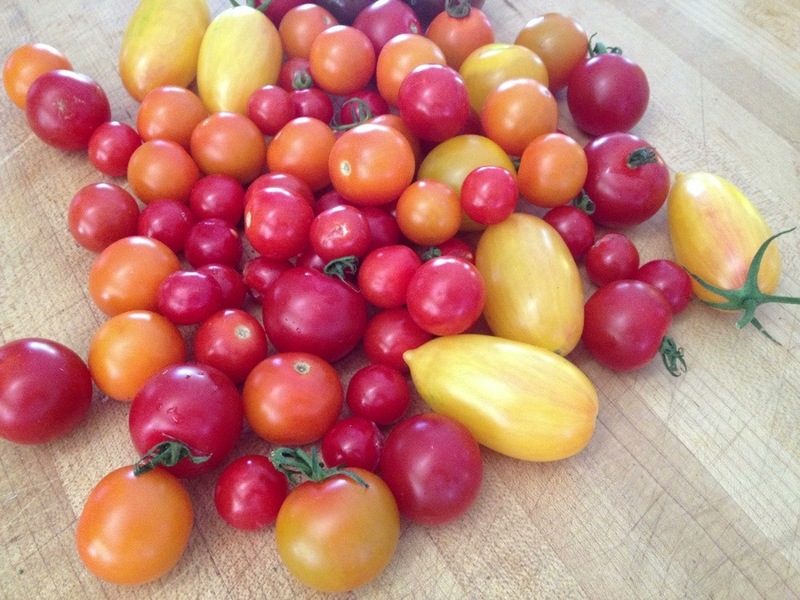 I wrote a post about it back in August when we were out on Long Island, and the tomatoes were incredibly plentiful & local. This time of year finding a tasty local tomato is not in the cards. 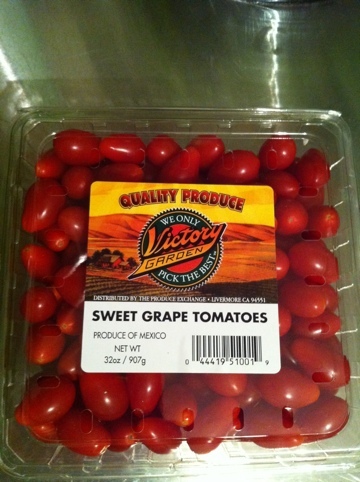 But my favorite find during the Winter months are these gigantic boxes of grape tomatoes from Mexico. In our area, the grocer always has the huge boxes for around five bucks. They are the perfect tomato for roasting in the oven at a high temp, really bringing out the natural sweetness. 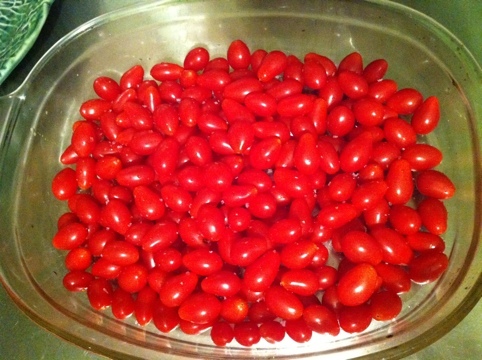 Rinse tomatoes in a colander, then put them in a baking dish. Add a liberal amount of salt. Over salting is not really an issue here. Then add a good amount of olive oil to lightly coat the tomatoes. Same with the olive oil, you really can’t overdue it, as this will become part of the sauce. Then peel a whole head of garlic and cut the cloves in half to really release the garlicky goodness. Add the garlic to the tomatoes. Finally, add whole leaves of basil to the dish. Stir so the garlic and basil incorporate. Bake in the oven at 400 degrees for 30 minutes, or until the tomatoes have burst, releasing all the amazing juices that will become part of the pasta sauce. Once done, take out of the oven. Personally, I like taking the wilted basil leaves out and adding fresh ones, but you can leave them in if you wish. If you want this dish to be less garlicky, then discard the garlic. Fine to leave in, as well. Once the linguini is cooked, toss with all the contents of the baking dish. The tomatoes and all of their juices and the olive oil will have made a glorious natural sauce. Add grated Parmesan once the pasta and tomatoes are mixed together. 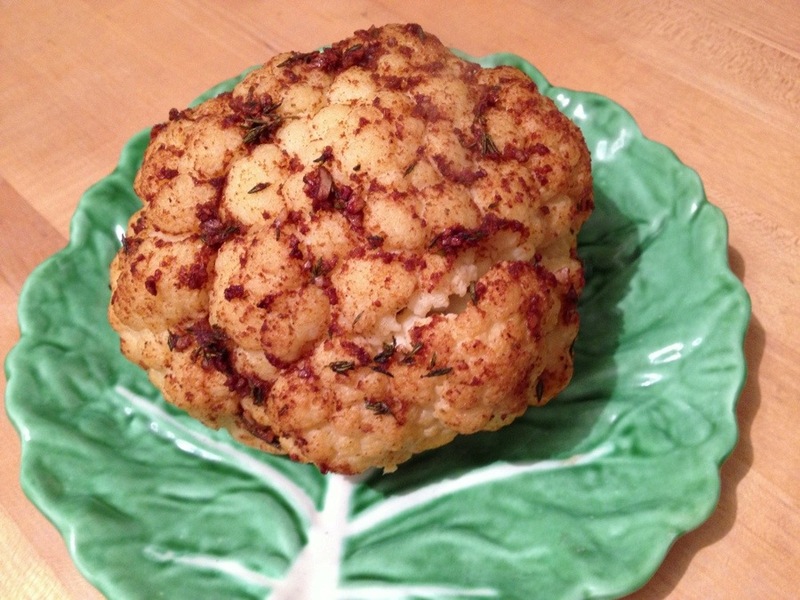 It really is delicious just like this, and can be served meatless. It is as simple and as easy as that. If you want to make it a more substantial meal, add chicken or ground beef. I chose ground beef, which is pictured above. Sit and enjoy.